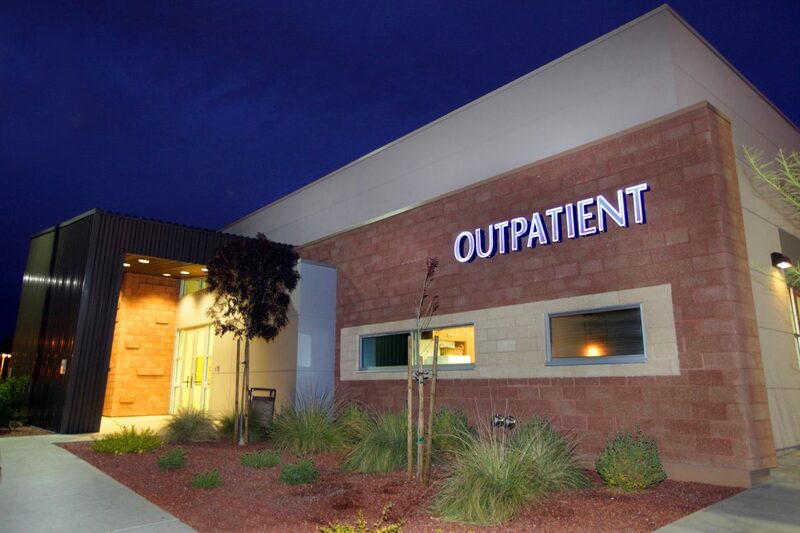 Desert Parkway Outpatient Facility - Affordable Concepts Inc.
6,775 sf ground-up building on .25 acres. 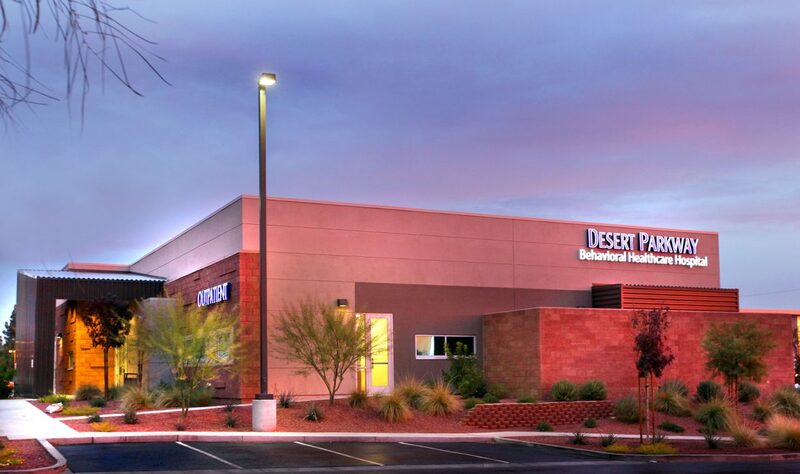 This facility was constructed as part of a phased expansion to the Desert Parkway Behavioral Healthcare Hospital intended to relocate the outpatient care portion of their operation from the main building to this dedicated outpatient facility. 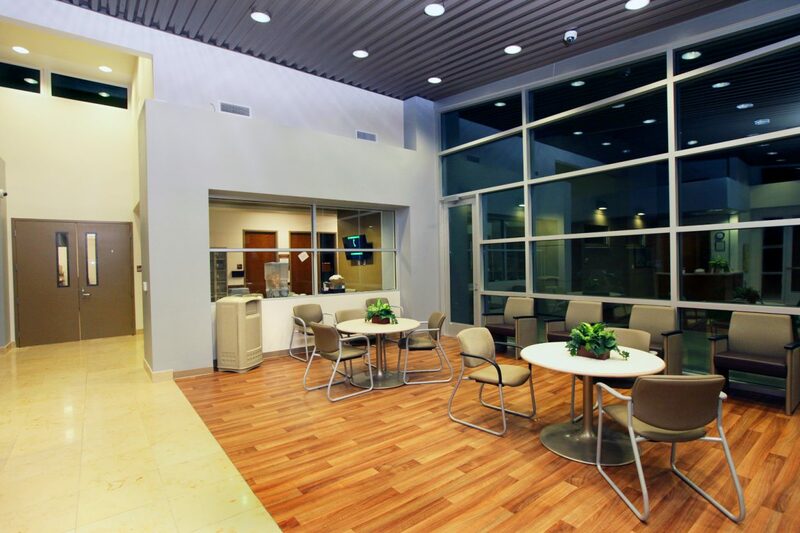 The building was both sited and designed to help promote a more campus-like feel of the Desert Parkway facilities. 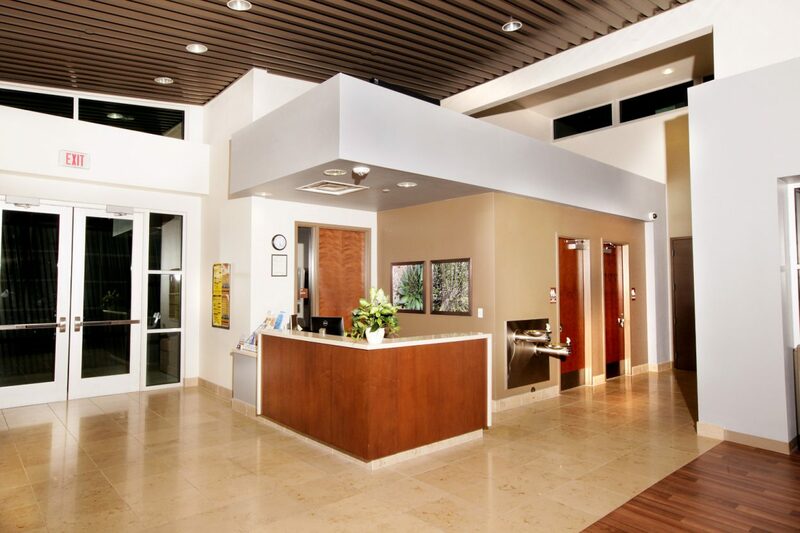 Internal planning features separate treatment paths for adult and adolescent patients keeping them visually separate, but maintaining central access to all of the features and amenities. 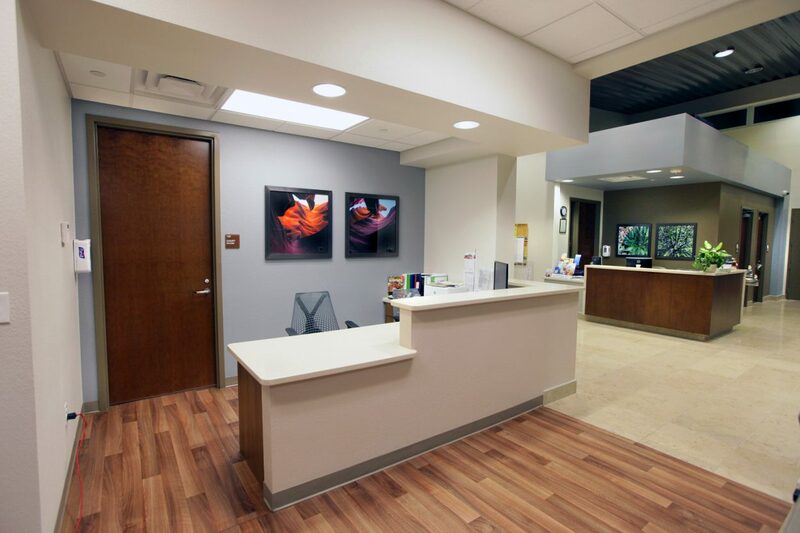 The facility also features a large multi-purpose room that can be locked off from the treatment areas and accessed directly from the outside after hours for large public meetings, trainings and community functions.